Read the 2011 Winter Edition of the Blue Ribbon Tribune! 1p36 DSA wants to say Thank You to all our supporters. Sadly, 1p36 DSA did not win the Pepsi Refresh Grant in October and as we said at the beginning of the month if we didn't win, we are throwing in the towel...for now! Stay tuned for new opportunities to support 1p36 Deletion Support & Awareness in the future! The support from 1p36 DSA's voters was phenomenal! Its apparent that, even though we are a small and newly formed organization, there quite a few folks who support our goals of increasing awareness of 1p36 Deletion Syndrome and providing support to 1p36 families. There was a lot of competition for the Pepsi Refresh grant money and many very deserving causes won. That being said, even though 1p36 DSA did not win, we did do a lot to increase awareness of 1p36 Deletion Syndrome and that is our main goal! So many of you contacted the media, emailed your contact lists and shared the cause on social networking sites! Imagine, because all that effort, how many more people are now aware of this rare syndrome! Thank you so much for your continued support of 1p36 Deletion Support & Awareness. We will continue to update the blog with information regarding our future projects, family stories and other 1p36 Deletion Syndrome news so keep checking back. Also, many of our Pepsi Refresh Alliance Partners are still hoping to win in November so your votes are still needed to help children with disabilities and chronic illnesses. We will keep you updated on their progress. Christina, Mollie's mom and one of the first advocates for 1p36 Deletion Syndrome, tells about her daughter and how she was finally diagnosed. 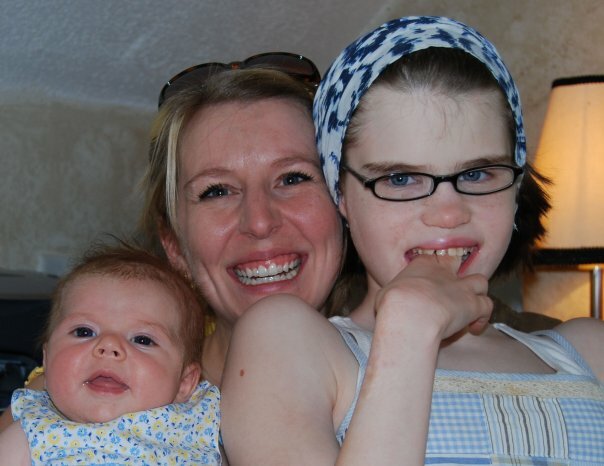 When Mollie was born, she was just as God had intended her to be…. She was perfect. Ten fingers, ten toes and a head full of red hair. When she was two weeks old, her pediatrician noticed a heart murmur and sent her to see a cardiologist, the first of many specialists to care for her. 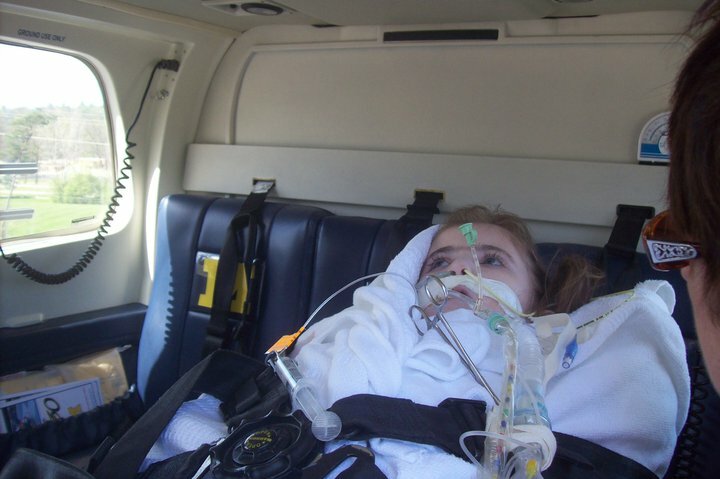 Mollie had a heart defect, and as the weeks went by, her development seemed slow. It was assumed that she was slow to develop because of her heart condition. Mollie had heart surgery at only four months old and we all thought we would go on with our lives and the only remaining effects would be a scar for Mollie to show off. As the months passed, Mollie’s development continued to be slow and her facial features seemed to be a little unique. 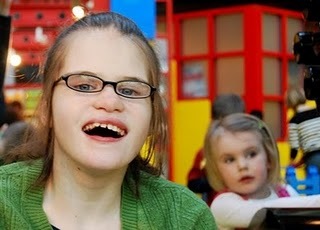 Mollie was sent to yet another specialist, a Dysmorphologist. This is a doctor that studies congenital malformations (birth defects). The doctor said that she was certain that Mollie had a genetic disorder but she would need testing to be sure what the disorder was. Mollie’s chromosomes were tested and all the tests came back normal, but the doctor was sure there some something they missed. This is when I first heard the term “unknown genetic syndrome”. For the next several years, we search for a diagnosis as Mollie worked hard to reach the developmental milestones most parents take for granted. We returned to the Dysmorphologist every year. Her chromosomes were checked again, and again they came back normal. We went on with our lives and Mollie continued with physical therapy, occupational therapy, speech therapy, doctors, surgeries and specialists. We went to birthday parties and play groups and other mothers would tip-toe around the fact that my perfect child was obviously imperfect by the world’s standards. As a parent, it is one of the most isolating circumstances to be in. We didn’t fit in with “normal” families. No one understood the demands of caring for a disabled child. My peers were becoming Soccer Moms and I was becoming a Therapy Mom. Who has time for extra activities when our days are filled with doctor’s appointments, therapies, IEP meetings, insurance appeals, not to mention the stress and worry. We didn’t exactly fit in with the special needs groups either. They all seemed to be gathering by diagnosis. Down’s Syndrome, Autism, Cerebral Palsy etc….they seemed to be private clubs that one could only enter if you actually had a diagnosis. When Mollie was eight years old we made our annual trip to UCI Medical Center to visit her Dysmorphologist. Dr. Bocian told us that she wanted to test Mollie’s chromosomes again but this time she wanted the lab to specifically look at Mollie’s first chromosome. She had just the day before our appointment read a research paper about 1p36 Deletion Syndrome. She handed me a paper and a nurse drew blood and hope grew. After searching for eight years, had we found a diagnosis? I went home and Googled “1p36 deletion syndrome” The only thing I found was the journal article the doctor had just given me. I searched and searched and waited for the lab results. Two weeks later, the doctor called to tell me that the lab results confirmed that Mollie had a chromosome deletion. She was missing the tip of her first chromosome. 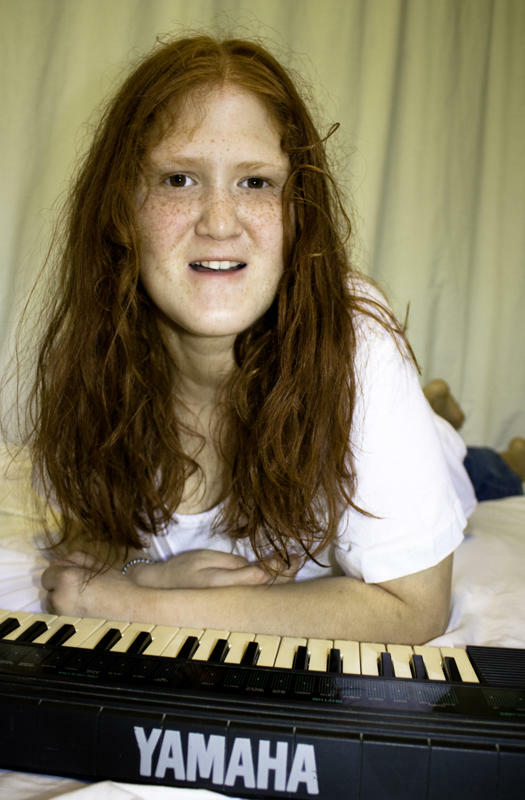 Mollie’s syndrome had a name: 1p36 Deletion Syndrome or Monosomy 1p36. I continued to search for information about the syndrome. I found a Yahoo Group of three other moms. For years, there were only five of us in that Yahoo Group… five people in the entire world who understood. Now there are over 200 members. 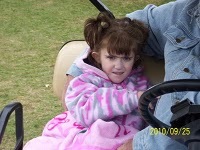 I contacted a doctor doing research on the deletion and Mollie was invited to participate in a clinical study. We flew to Texas and stayed at Balyor Collage of Medicine for a week and the doctors ran every test imaginable. I left that hospital with more knowledge about 1p36 Deletion Syndrome than most doctors had. In 2007, our group of five moms had grown to over 200 members and we held our first conference in Jacksonville, Florida. 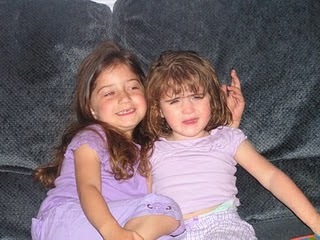 2007, 15 years after Mollie was born, 7 years after she was diagnosed. As the conference started, I sat down next to Karen, one of those first 5 moms in the Yahoo Group. We looked around the room and then looked at each other with tears in our eyes. We were home. We found our family. In 2007 I sat in a room full of people who didn’t look at my child like something was wrong with her. I sat in a room full of people who saw Mollie as I saw her on the day she was born. I sat in a room full of people who saw Mollie as God’s perfect creation. Beth, Jordy's mom, explains why she is asking her friends and family to vote. Thank you Beth for this heartfelt request for support. I know over the last few months you've seen on my page a request for voting for the 1p36 DSA Pepsi Refresh Project. Here's the deal. 1p36 chromosome deletion is Jordy's diagnosis. It is the reason she developmentally is 18 months, it is the reason we spend countless hours in therapies each week, battle seizures, insurance companies, medical systems and fight for her rights to live her life as a happy, healthy human being just as any other child. The first 6-1/2 years of Jordy's life we lived in the darkness of not knowing what caused all of her health issues. When we finally received a diagnosis, due to the technology becoming available, we met up with a small handful of other parents with the same diagnosis. We finally were not alone. Over the years, as technology has improved, more and more families are finally able to have their "unknowns" become answered as they, too, receive a diagnosis. Within the past two years, the families joined together to form a non-profit called 1p36 Deletion Support and Awareness (or 1p36 DSA.) Today, there are over 300 people on our listserv and over 500 people on our Facebook page. We are not alone, but we are small and we need help to spread the awareness among other physicians and clinicians to help find the other families who may believe they are also living as "undiagnosed." 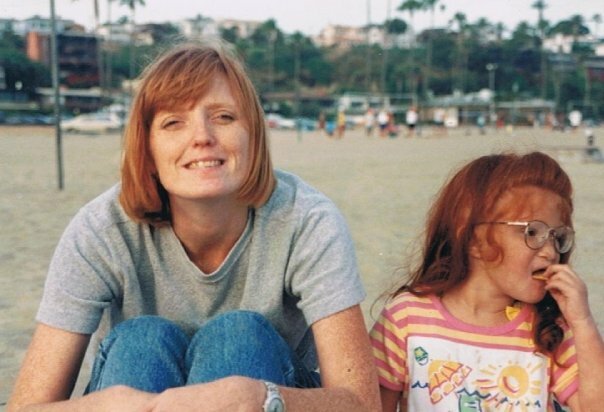 With the chromosome deletion incident rate at 1/5,000 births, the numbers of children out there who are currently undiagnosed is perhaps rather high and the more we can share the general characteristics with medical providers, the more we can reach families who, like we once did, may feel completely alone in their journey raising a child with disabilities. This past Sunday I walked through a local park and was unknowingly in the middle of a March for Down's Syndrome event. I was in a throng of 5,000 people. As I walked alone through this crowd, I held back the tears realizing just how lucky and blessed these families were to have a sea of 5,000 surrounding them--5,000 right in my local area who understood each other, the struggles, the joys, the pains and I longed to see the day when there, too, could be a sea of 5,000 surrounding me as we stood united with our children with 1p36 deletion. This will only happen if we spread the word--much like the early pioneers of those with Down's Syndrome had to spread the word on their chromosome disorder and band together, we, too, are the early pioneers of 1p36 deletion. To that end, I'll keep asking for your help. I'll keep asking for your votes. It's been a long journey that no family should ever have to face alone and this is one way in which you all can directly help us. It's a matter of following the links posted and clicking "vote" or texting in your vote. It's two seconds of your Facebook time and a world of difference in the lives of those with 1p36 deletion as we gain funds to spread the awareness. Read about Sarah, a sweet girl with not only 1p36 Deletion Syndrome but also a fighting spirit! When I was pregnant I was so sick in the first few months, and it seemed to be morning, noon, and nighttime sickness! At twenty weeks, I found out I was carrying twins, and at that time they thought there was something going on with Sarah. That one day began an emotional roller coaster ride that six and a half years later we still haven't been able to exit. The doctors in the beginning kept putting us off, but since Sarah had a twin sister for us to compare her with, we knew something was not right. Finally, at nine months we got the diagnosis through FISH testing. It was over-whelming to actually have a diagnosis, and very scary to start reading all the research. I am so thankful to now have the support of people all over the world through our yahoo support group and many facebook friends. Sarah has epilepsy, scoliosis, syringomyelia, eosinophilic esophagitis, feeding problems, sleep problems, and a few other minor issues! I have learned so much from this precious child, and she has shown the world her fighting spirit after spending four weeks on a ventilator this spring. It is not an easy life that we live, but I wouldn't trade either of my girls for the world!